As a freelancer, you usually have to rely on a constant stream of work to keep afloat. While this can be fine, it becomes an issue if your clients have less work to give out for a week or two. Furthermore, it can present a limit to your business' growth. After all, you only have so many hours you can work. 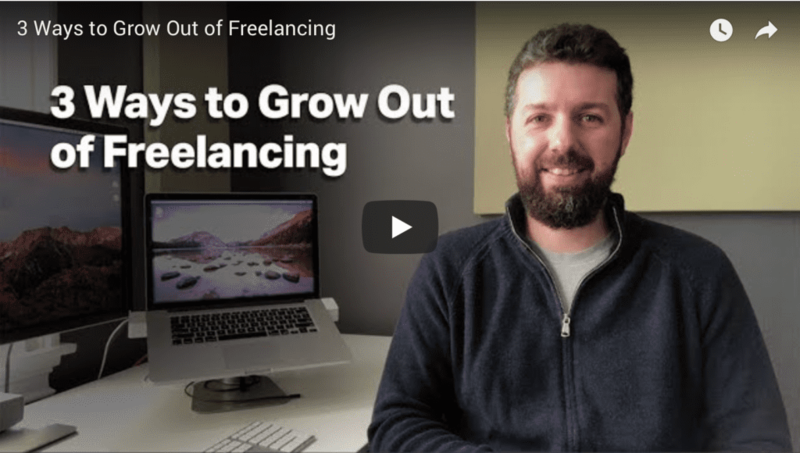 The article below presents three ways to get around these problems and grow above and beyond freelancing, into a more stable, scalable business model. When this happens, it usually means means my subconscious mind is nudging me toward some sort of next chapter. I knew I needed to grow beyond freelancing and build a more scalable business.